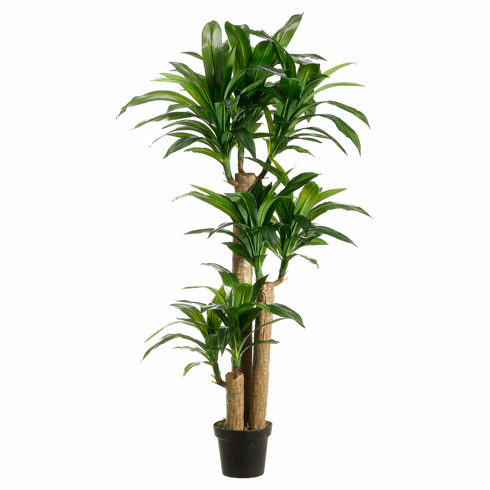 This is a beautiful tropical dracaena plant with 3 trunks and 7 heads. The foliage come in two toned green to give it the look of new and old growth leaves. It comes pre potted in a weighted planters pot and comes with free shipping to our customers in the lower 48 states. This silk plant is sure to impress.